Today I am sharing this fun casual outfit I wore over the weekend. A humourous sweatshirt ripped jeans and Converse. Perfect for a walk in the park. Donut Judge Me It's Cheat Day. 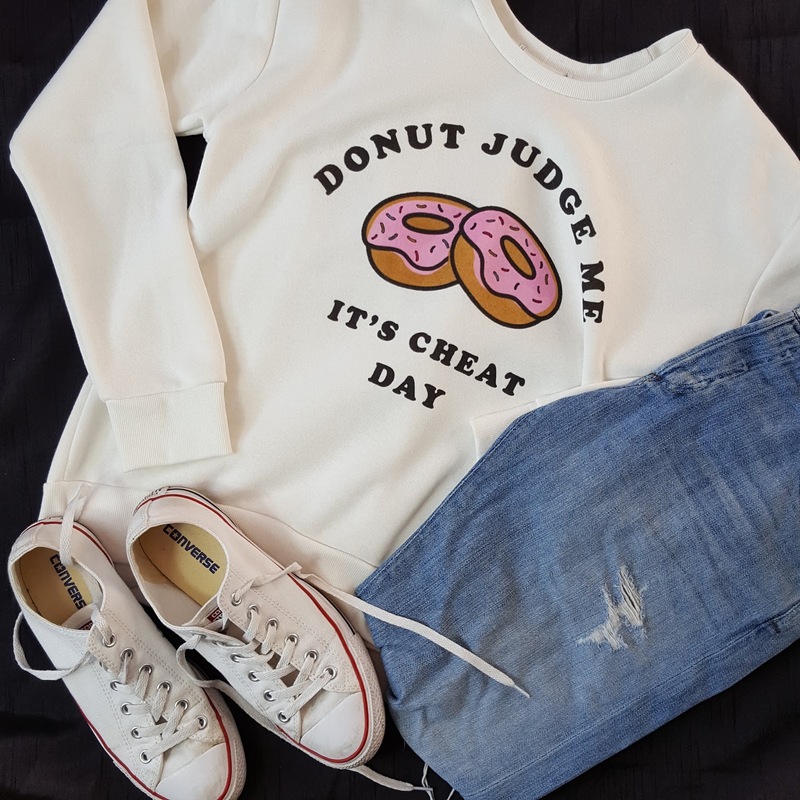 I wore this outfit when we visited Chesterfield for a walk around the Crooked Spire and Queens park: OOTD: Donut Judge Me It's Cheat Day. Pink Sunglasses: Primark | Donut Judge Me It's Cheat Day Sweatshirt: Bargain at £5.00 from Primark | Mollie The Border Collie Picture Put Onto A Handbag: c/o Bags Of Love | Ripped Jeans: Selfridges | Fishernet Socks: Primark | Shoes: Converse. Do you like to wear fun sweatshirts like this one? this sweatshirt is so much fun! I love donuts! Such a great casual look! I need your sweatshirt!